This is an updated online version of Hsu, C.C., Kuoh, C.S. & Liu, H.Y. 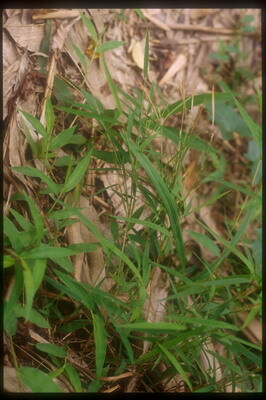 (2000), Gramineae (Poaceae). In: Huang, T.C., Boufford, D.E., Hsieh, C.F., Kuoh, C.S., Ohashi, H. & Su, H.J. (eds. ), Flora of Taiwan, 2nd ed. 5: 318-654. Editorial Committee, Department of Botany, National Taiwan University, Taipei, Taiwan. Updates include the addition of taxa recentlly recorded from Taiwan and the inclusion of images and line drawings. Images include photos of living plants, herbarium specimens, and leaf cross sections. An online ActKey “Leaf Anatomy and General Character Set of Taiwan Grasses” is in progress (Kuoh, C.S. & Song, H. 2005; Taiwania, 50(4): 1-11). Currently, the data from microscopic examination of sections of leaf blades of 176 species in five subfamilies of grasses in Taiwan are included. Please send comments, suggestions, and corrections to: Dr. Chang-Sheng Kuoh (kuohpopo@gmail.com). The following organizations are acknowledged for their support in preparation of the images of herbarium specimens, microscopy of leaf cross sections, and updates for this online version.